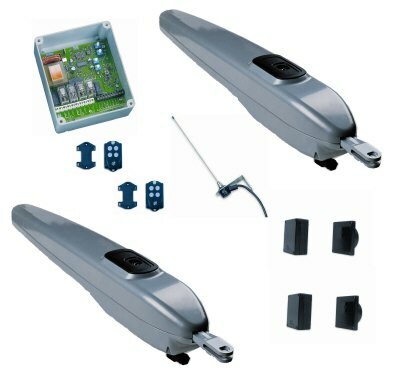 The BINGO 500 electric gate motor was designed to automate swing gates with leaf up to 4.5 m length and maximum weight of 400 Kg. The kit include two Bingo 500 gate motors, 1 CITY7 control Unit, 1 super heterodyne radio receiver, two transmitters and 1 pair of photocells. Built in mechanical gate stops. User-friendly release system with customized release key.